Deadline for registration for Bear Creek Junior Golf program is July 1st, 2019. Why Have a Junior Golf Program at Bear Creek Golf Course? 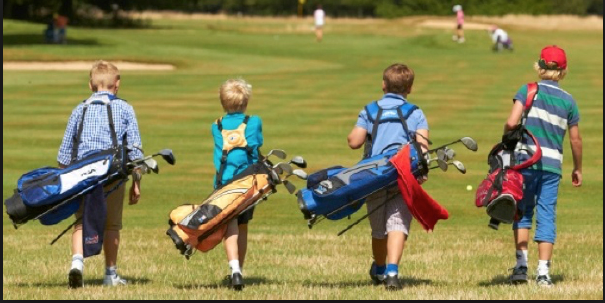 We want to introduce youth to golf, instilling values and skills for lifelong enjoyment of a great sport! What is Bear Creek’s Junior Golf Program? Our Junior Golf Program is open to youth ages 7-17. The program consists of an introductory week-long clinic 8:30-12:00 July 8-12, 2019 for beginner and intermediate players. Advanced Player Clinic: 1-3 pm July 8-12, 2019. The program wraps up with a fun celebration tournament and BBQ - date TBD. Awards and other prizes will be given at the tournament. What does the Junior Golf Program Cost? Loaner Clubs (as needed): putter, iron, wedge - sized to fit each participant. Sizing to occur on date TBD. Format is designed for all skill levels and is focused on learning and growth. We want EVERY junior gofler who wants to learn and play to be able to participate. Scholarships available. How Do I Sign Up for Bear Creeks’ Junior Program? Step 1: Open, print, and complete the Registration Form (form on page 2 after program overview). Registration deadline for the program is July 1st, 2019. Registration is handled on a ‘first come, first served’ basis.